When Puerto Rico was devastated by Hurricane Maria, the Mercer Island High School marching band stepped up to help a fellow band in need. The Mercer Island High School marching band will march Tuesday in the Tournament of Roses Parade for the fourth time, but there is a deeper meaning this year. In September 2017, Hurricane Maria ripped through Puerto Rico, just two weeks after a prestigious local marching band had been chosen to march in the 2019 Rose Bowl Parade. So much focus went into hurricane recovery that a trip to Pasadena seemed impossible. That’s where the Mercer Island High School band stepped in. They too had been chosen for the Rose Bowl, so they started an “Island to Island” fundraiser – pulling in $50,000 so far – and sent five students to Puerto Rico a few months later. The Puerto Rican teenagers paid a return visit in October, playing at Mercer Island’s homecoming game. In rehearsals, the bands invited a certain “has-been” to join in (KING 5 anchor and former Mercer Island High School drummer Steve Bunin). 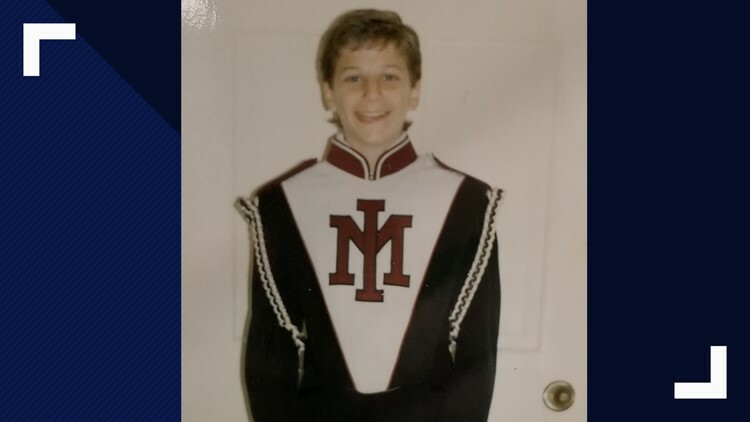 KING 5 anchor Steve Bunin in his Mercer Island High School marching band uniform circa 1989. On New Year’s Day, alongside the University of Washington and Ohio State marching bands and 17 others from around the globe, the teenagers from Puerto Rico and Mercer Island will show the world the true power of music – and how the devastation of an unprecedented storm created an unbreakable bond between two islands that are so little alike but have so much in common. Watch the Tournament of Roses on KING 5, king5.com, and the KING 5 mobile app (iOS | Android) from 8-10 a.m. on Tuesday, January 1.